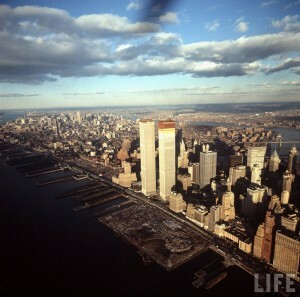 Two beautiful and unique 1971 photographs by Life Magazine’s Henry Groskinsky showing the nearly completed World Trade Center. 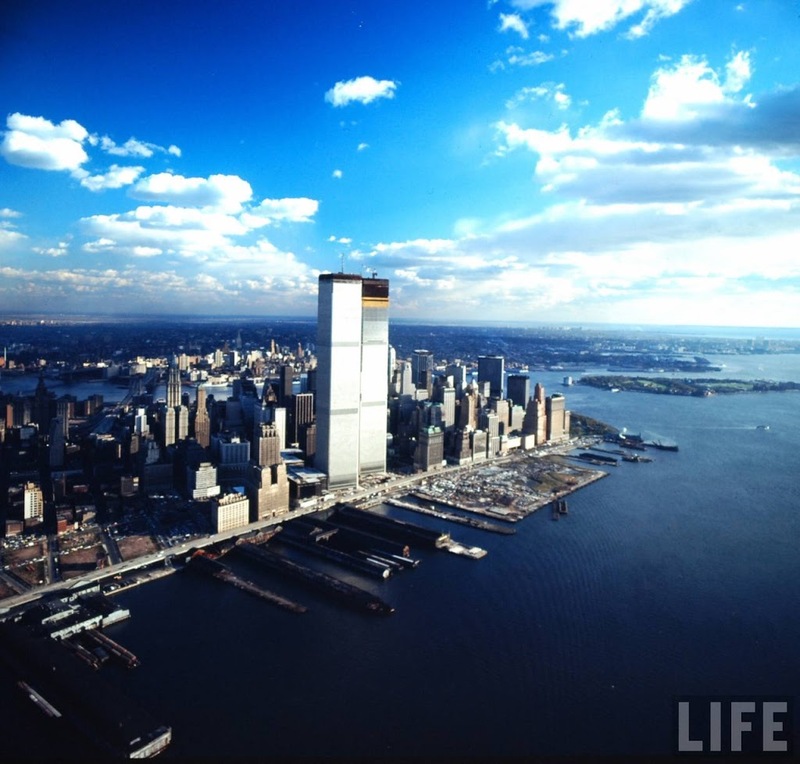 These are fascinating not only for the appearance of the towers as they prepare to lord over the ’70s skyline, but also to note what’s notably not there yet — the entire Battery Park City area. At this point in time, the land is still being formed using the excavated materials from the World Trade Center site and dredged sand from other places in the harbor.